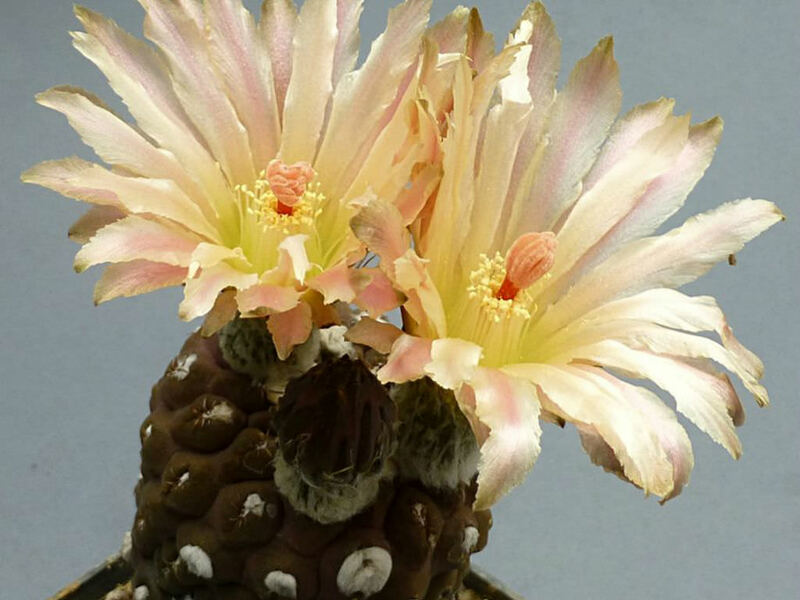 Eriosyce napina subsp. 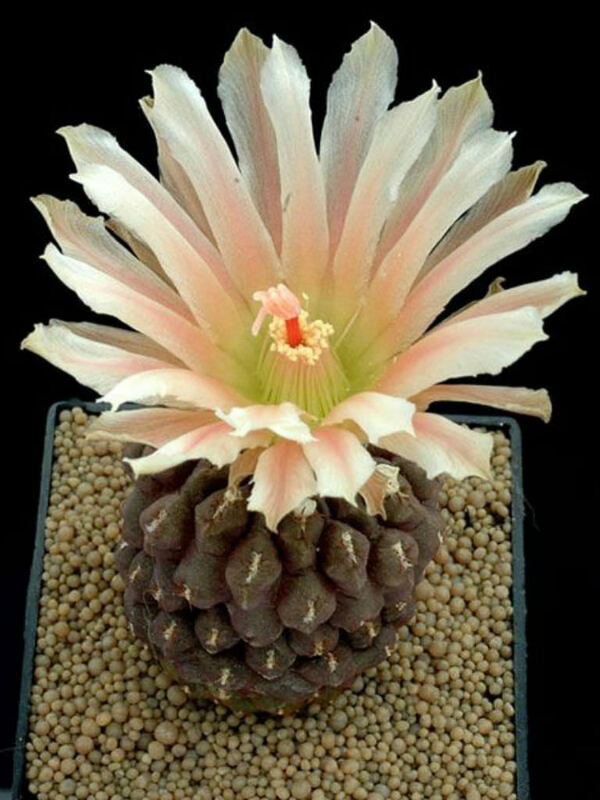 glabrescens is a small, geophytic cactus with a solitary, spherical or flattened stem, slowly growing atop a thick, underground taproot. The stem is glaucous-blue, glossy green or dark purple with brown, olive, grey tones, up to 2.2 inches (8 cm) tall and in diameter. The spines are very short, thin, strong, recurved and black in color. 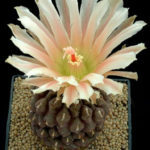 The flowers are pale yellowish-red to dull pink, up to 1.4 inches (3.5 cm) long and up to 2.4 inches (6 cm) in diameter. 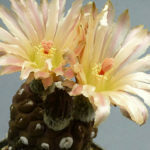 Eriosyce requires strong sun exposure to develop good spinal growth, but tolerate light shade. Some light shadow my be useful in the hottest summer days. 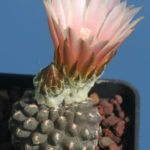 A rich, fast-draining cactus mix is ideal. Good drainage is essential for health. 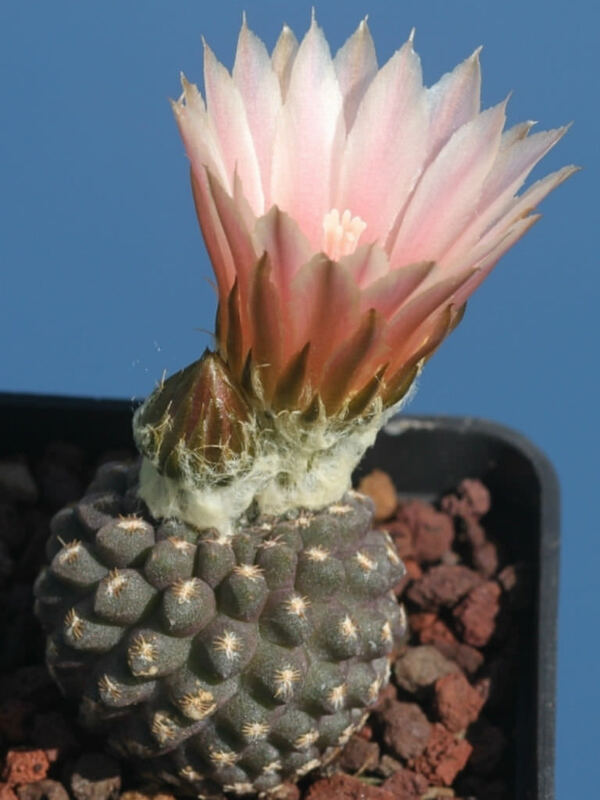 During the summer, water your Eriosyce every 2 weeks or slightly less often, depending on how moist the soil remains. In the winter rest period, cut watering back to once a month, or in humid areas, not at all. 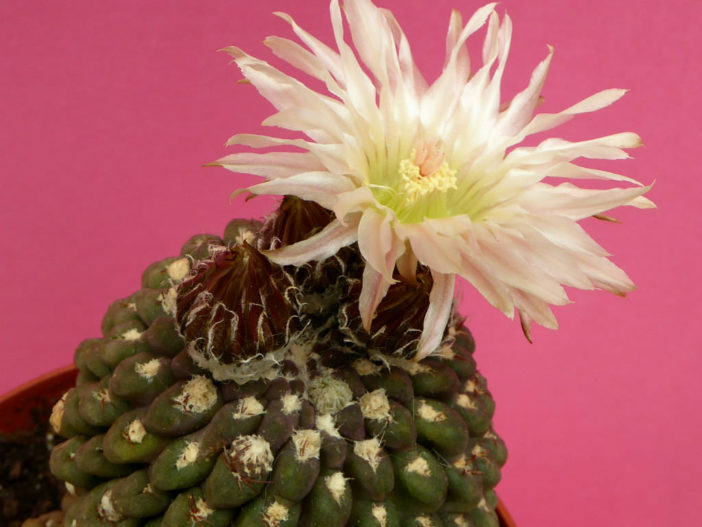 One of the key factors in success with these cacti is avoiding any hint of wet soil. Because their root systems are weak, they are especially prone to root rot, which will eventually kill your plant. Eriosyce napina subsp. glabrescens is native to Chile.